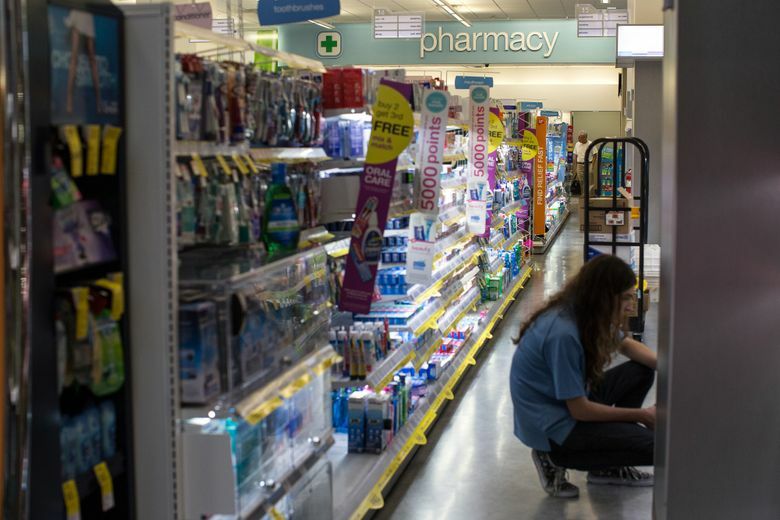 An employee restocks merchandise at a Walgreens Boots Alliance store in the Hollywood neighborhood of Los Angeles on Oct. 19, 2017. (Bloomberg photo by Christopher Lee). Walgreens Boots Alliance is teaming with Microsoft to design “digital health corners” for its stores as both companies battle an ever-expanding Amazon. As part of the accord, Walgreens will begin using Microsoft’s Azure cloud-computing software, moving applications and data to the tech giant’s data centers, the companies said. For Microsoft, it’s the second major Azure-centered deal with a retail chain this month after, a pact with grocer Kroger last week. Walgreens has forged a series of agreements designed to insulate it from a rapidly evolving health care and retail landscape. After rival CVS Health agreed to buy health insurer Aetna, Walgreens set up a senior health clinic joint venture with insurer Humana. And to ramp up its technological and e-commerce sophistication, it has inked deals with Verily Life Sciences, a unit of Google parent Alphabet, and cosmetics retailer Birchbox. Microsoft has made earlier forays into health software before pulling back. For the past two years, it has been working on cloud and artificial-intelligence products that can be used to reduce data-entry tasks for doctors, triage patients and provide more targeted cancer care. This time, Microsoft is aiming to partner with health companies rather than competing with them, as well as getting them to use Azure. Besides being a win for Azure, the deal involves a commitment by Walgreens to use Microsoft 365 — a collection of software that includes Windows 10, Office cloud services and security and mobile-management software — for the drugstore’s more than 380,000 workers.